Most of us know the oceans are in trouble. But most of us live in cities, where the ocean can feel like a different world. 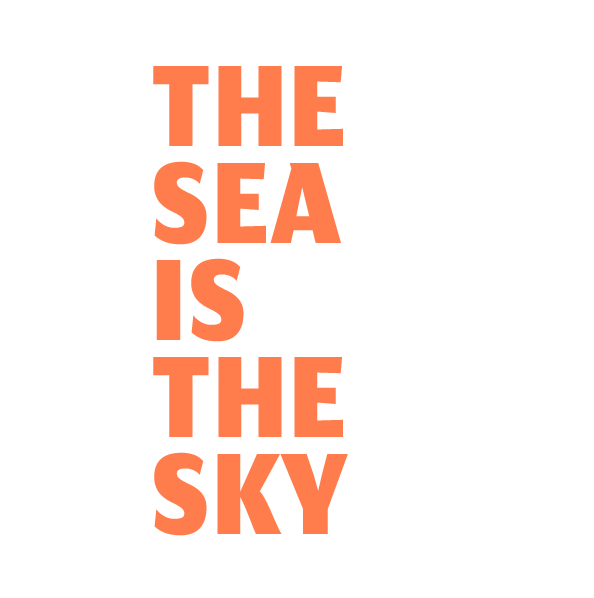 The Sea Is The Sky campaign uses Britain's wet weather to improve ocean literacy: understanding how the ocean affects us and vice versa. 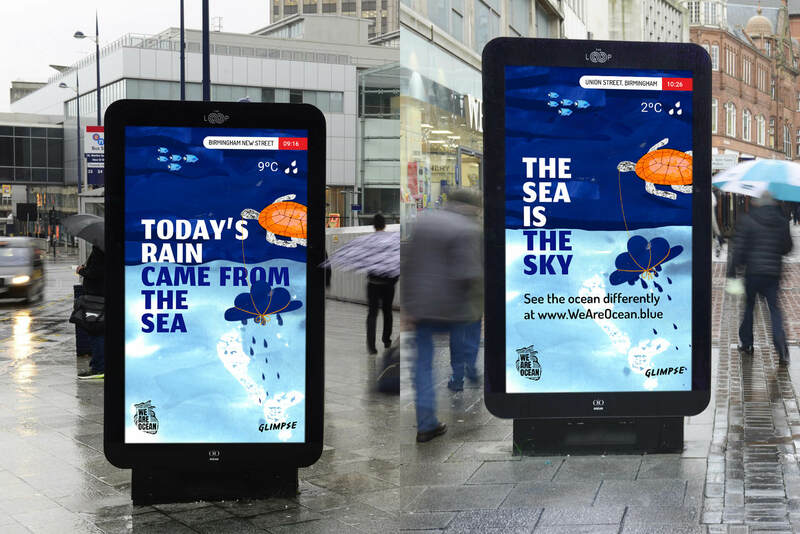 Smart billboards activate when it’s raining and connect urban populations to where that rainwater originated - the ocean. The goal is to get us to think ‘ocean’ every time we feel rain. In the UK, that's 133 days every year. The billboards are plugged into live weather feeds, and only display our animations when it’s raining. Using dynamic video files, we are able to display unique location information on each billboard and local weather conditions that update in real time. All this combines to give a feeling of something happening right here and right now, seeding thoughts about how the oceans affect you and your city on a day-by-day, minute-by-minute basis, even if you don't live near the coast. The sea hovers heavy at the top while an airy sky floats gently underneath. A team of marine friends win smiles as they dangle rain-clouds from the sky (or the sea?) over our heads. The collage style let us create a surreal, upside-down world that drives home the message: The Sea Is The Sky. The campaign has been supported by a wide group of charity partners with large social followings. To unite their voice and message, they needed unified social assets, which we provided in the form of six factoid posts in four colour-ways and two different sizes. These unravel your relationship to the ocean, as an individual on this planet, with clear headlines and memorable comparisons laid out on captivating, charming animation. This campaign was born from a group brainstorm run by Glimpse. A small team of us then developed the idea and entered Ocean Outdoor’s ‘Ocean for Oceans’ competition, winning £100k worth of media space. We then recruited generous and talented help to illustrate, animate, organise, secure charity partners and so much more. The campaign is now live across eighty screens in Birmingham and Manchester City centres, alongside bespoke screens in London, Edinburgh and Newcastle. Thanks especially to Ocean Outdoor, DOOH.com, We Are Ocean, Andrea Popyordanova and Charlotte Temple. Full credits below.